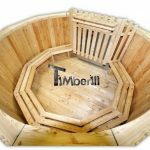 Shipping to Scotland or Ireland? 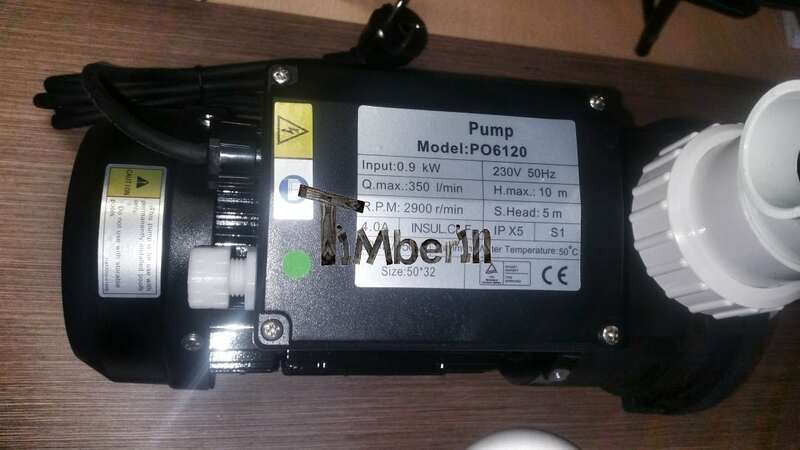 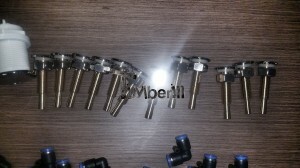 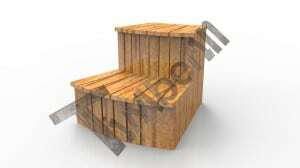 Contact us with postal code. 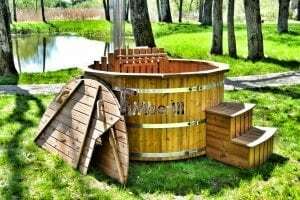 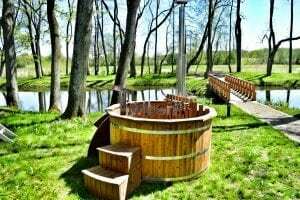 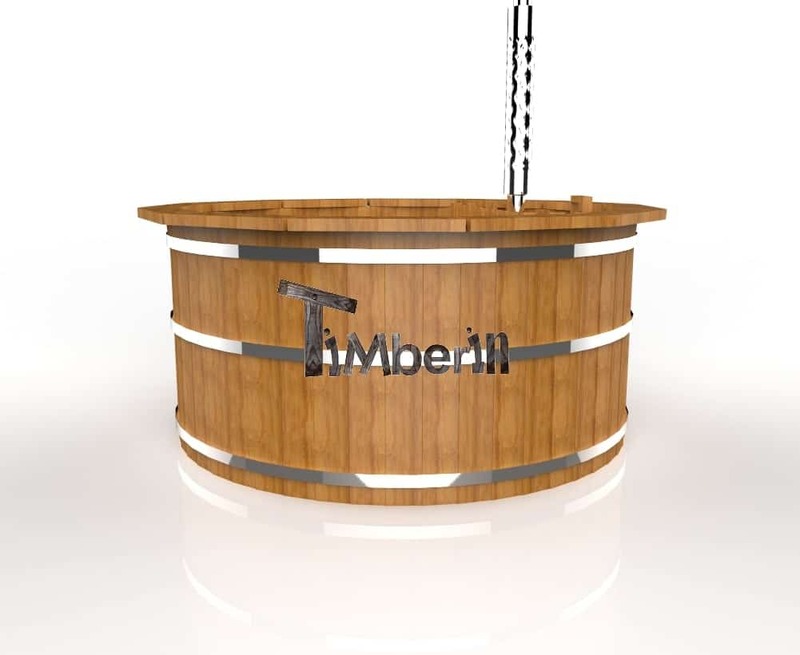 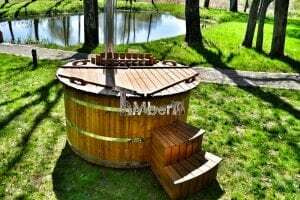 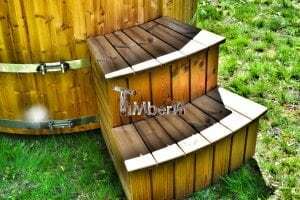 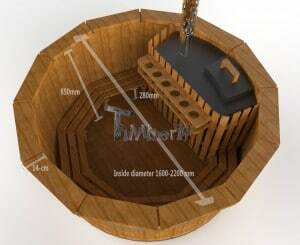 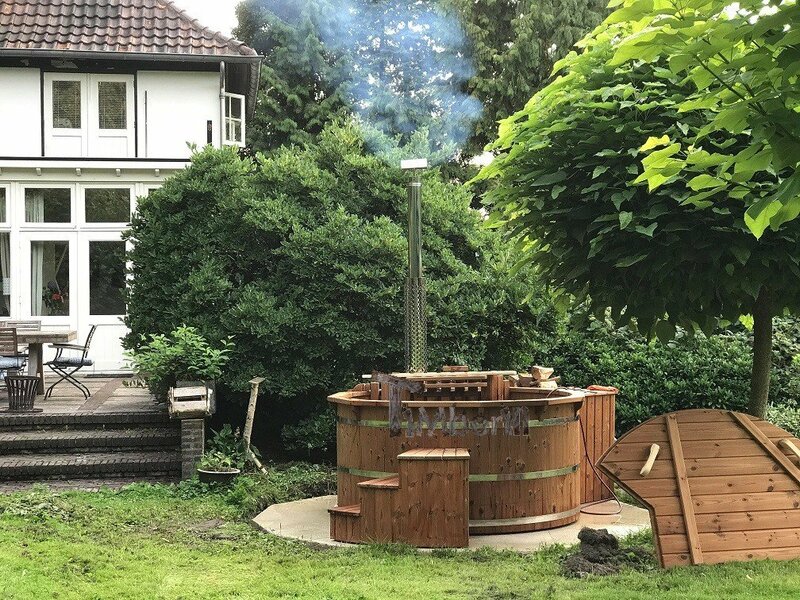 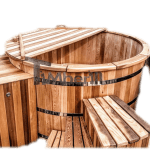 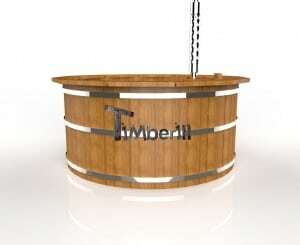 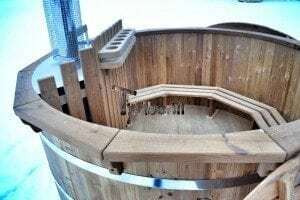 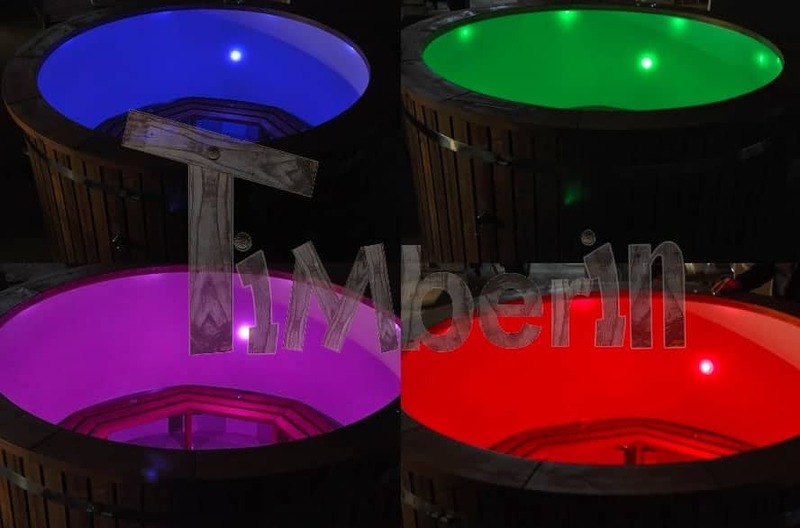 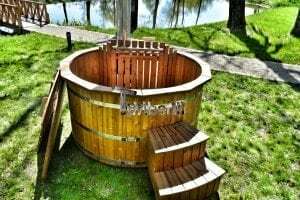 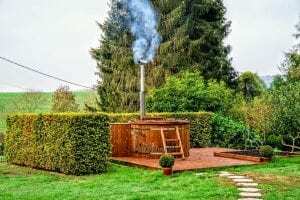 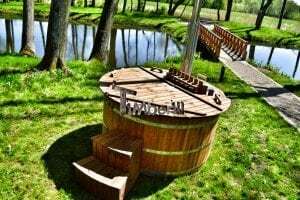 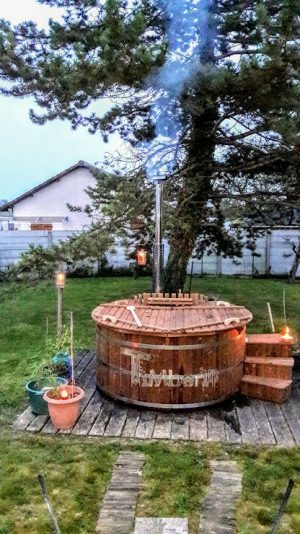 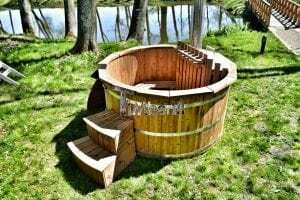 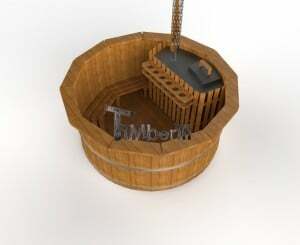 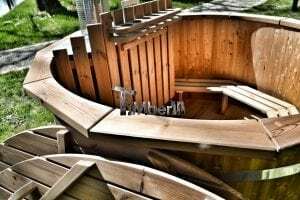 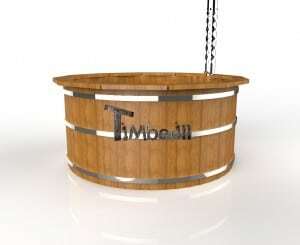 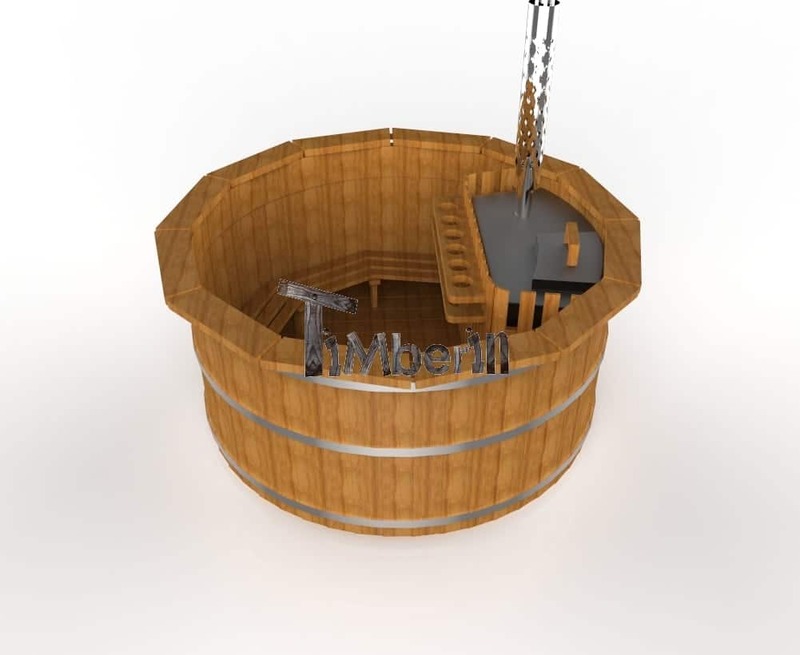 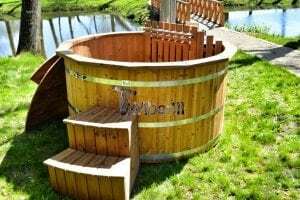 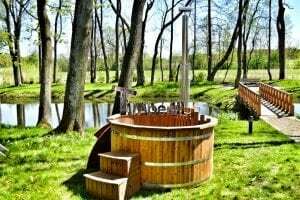 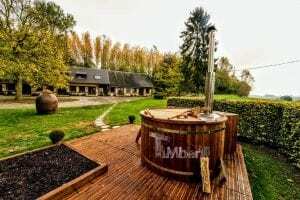 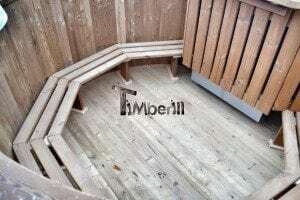 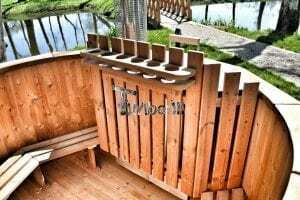 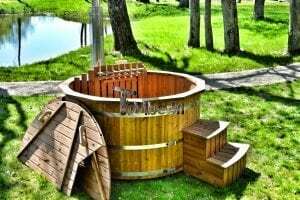 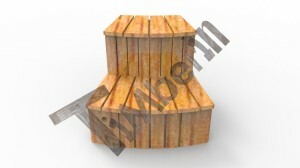 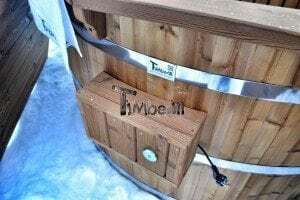 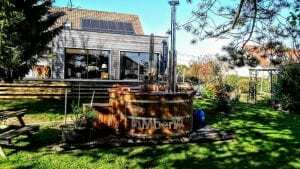 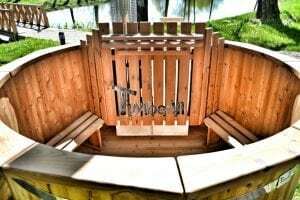 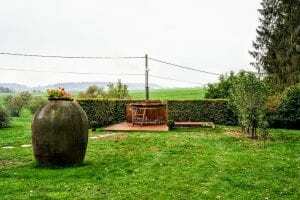 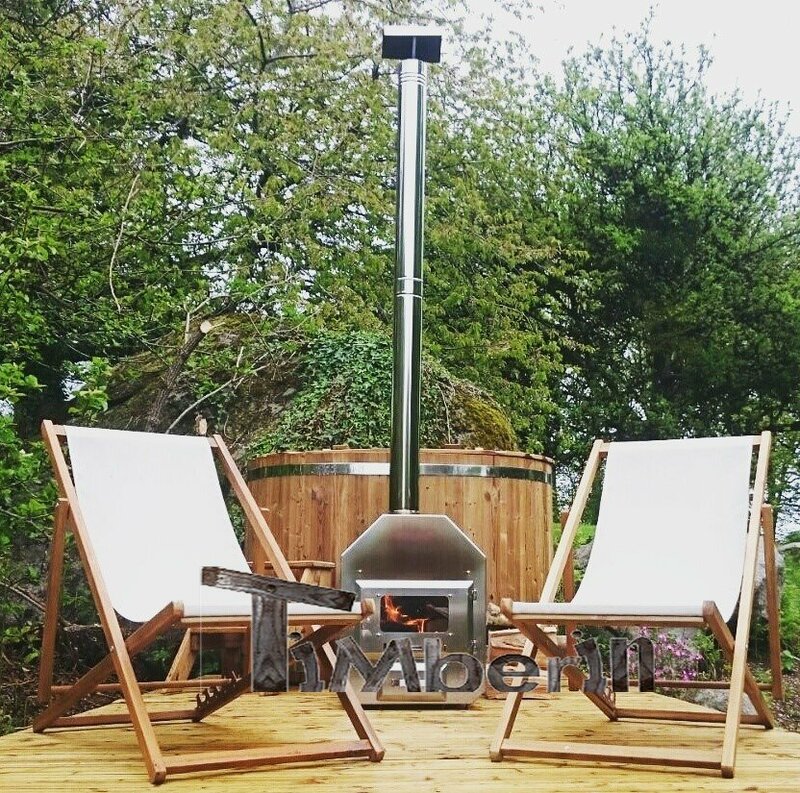 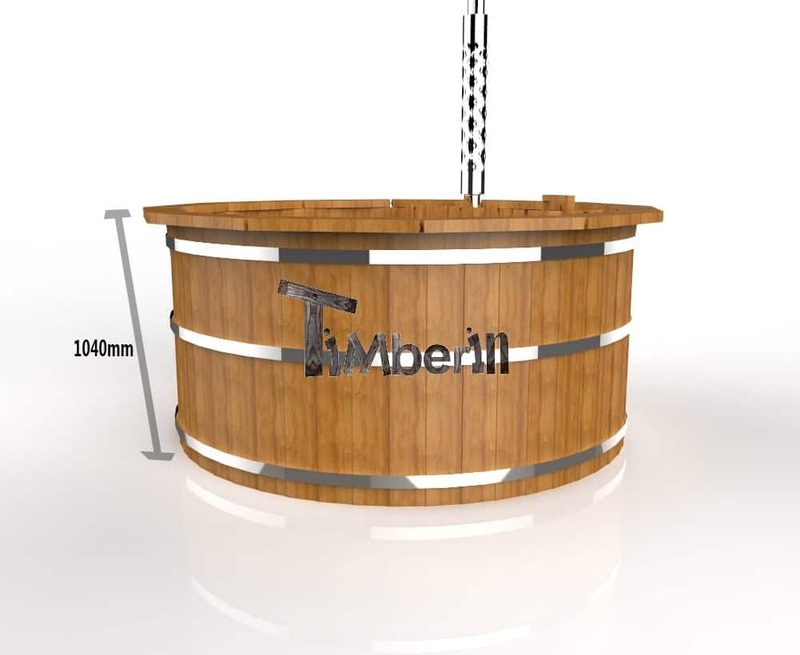 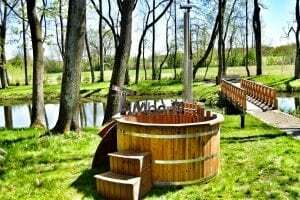 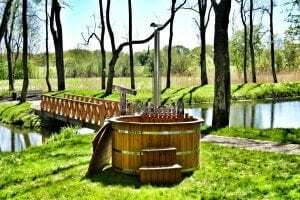 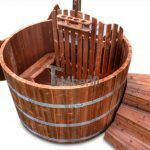 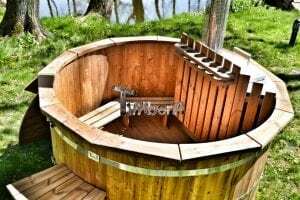 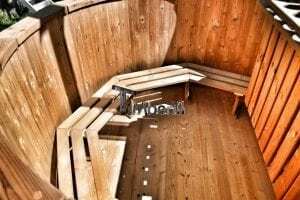 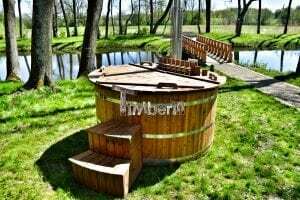 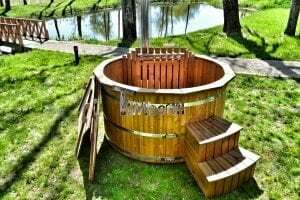 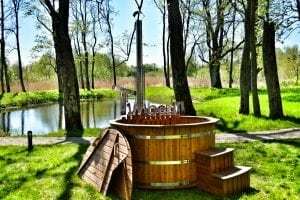 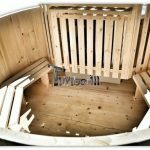 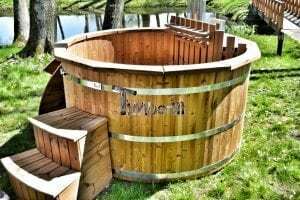 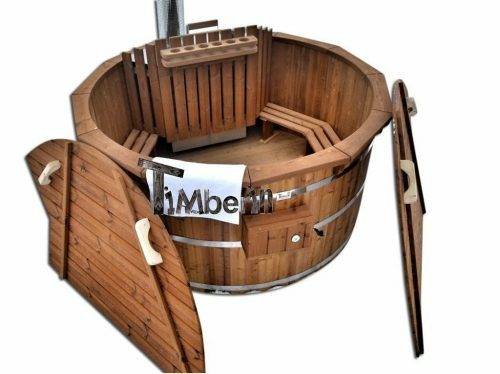 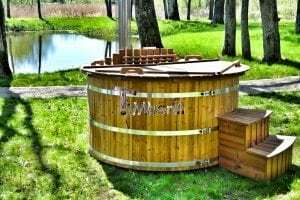 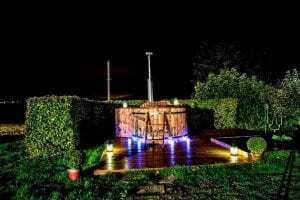 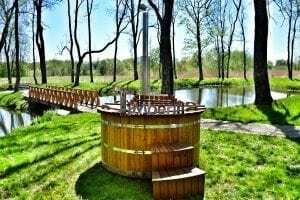 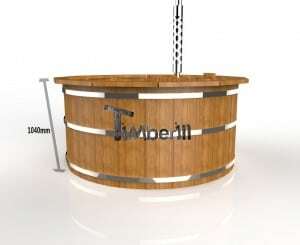 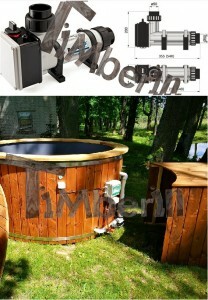 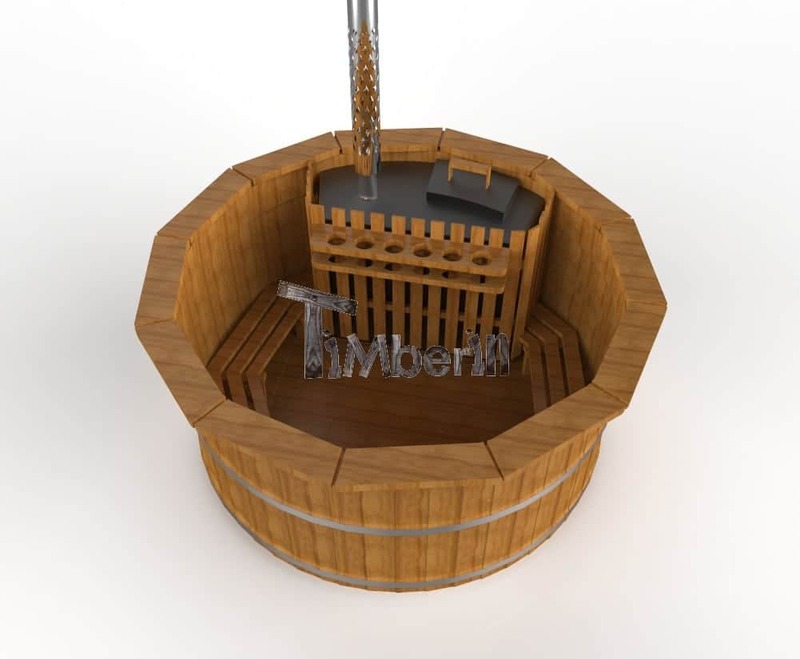 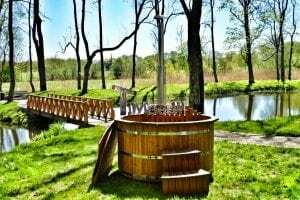 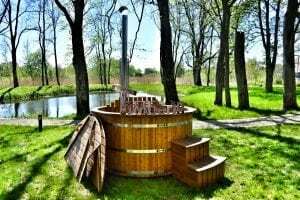 Are you looking for a natural, but at the same time luxurious wooden hot tub? 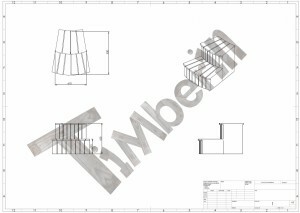 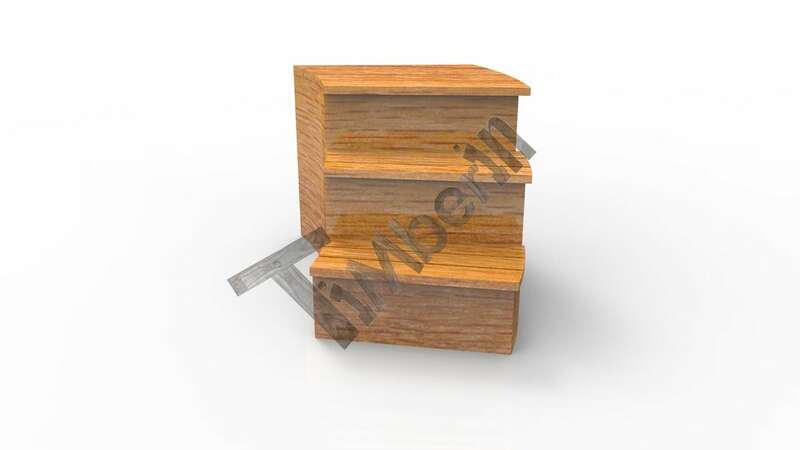 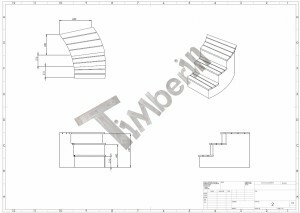 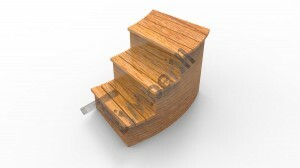 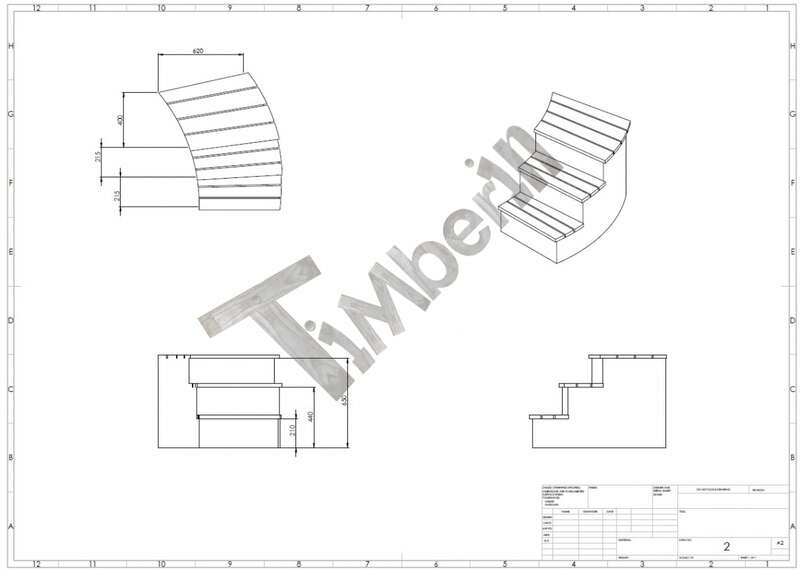 Take a look at this model which is made out of thermo wood, with classy, wide sill and stylish stairs. This tub will definitely enrich your yard or terrace. 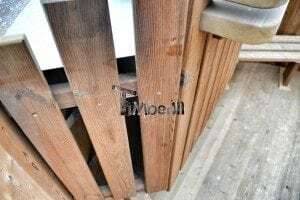 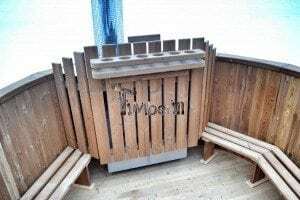 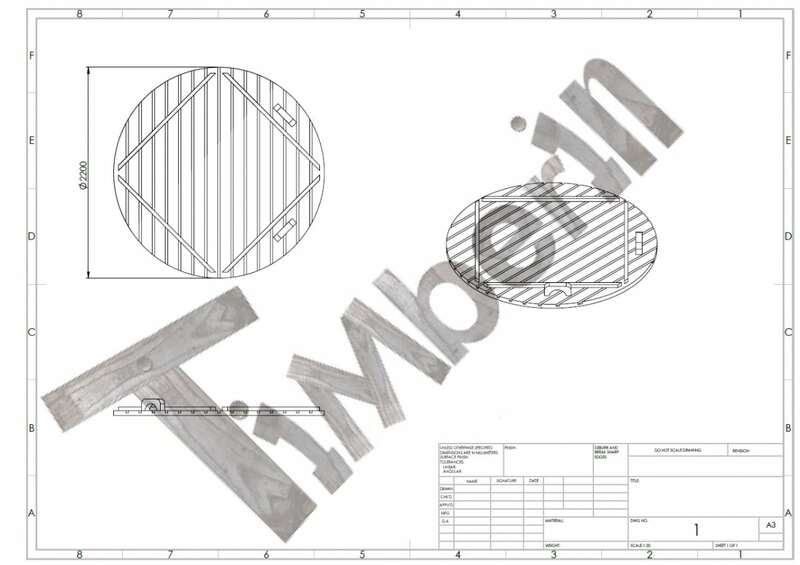 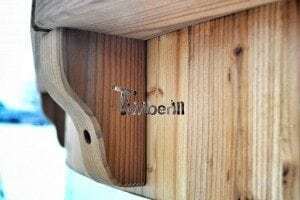 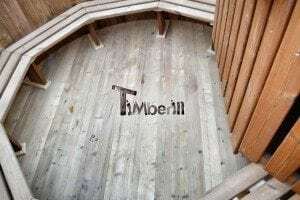 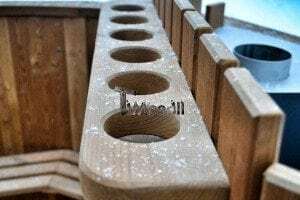 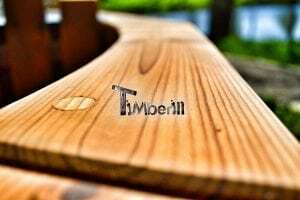 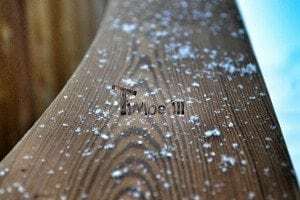 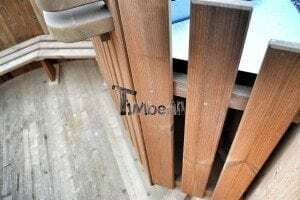 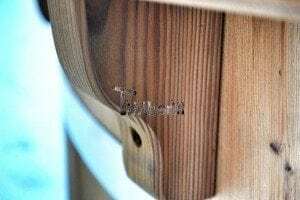 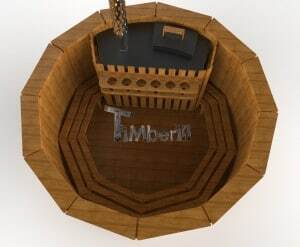 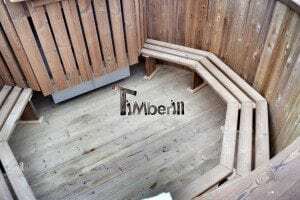 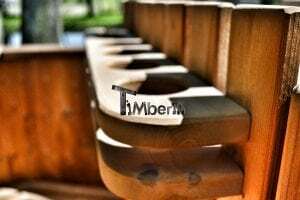 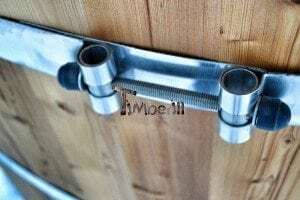 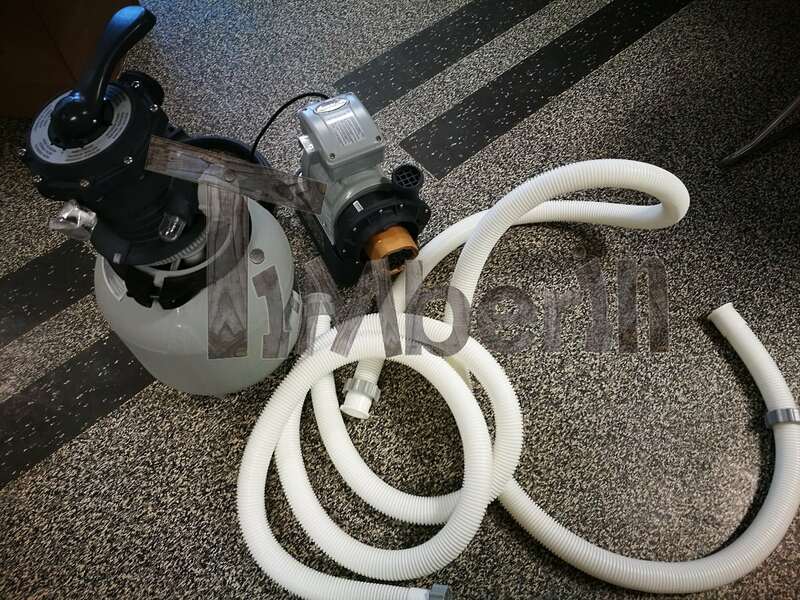 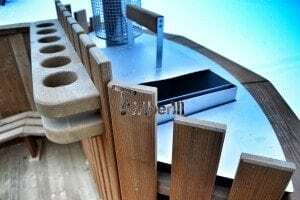 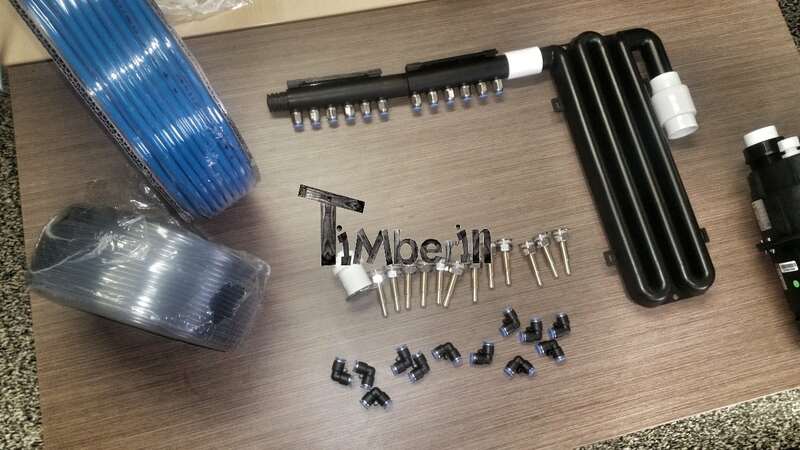 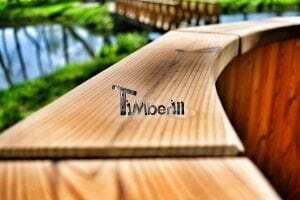 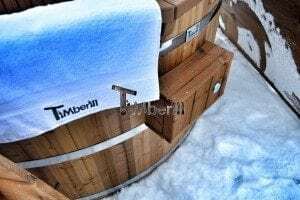 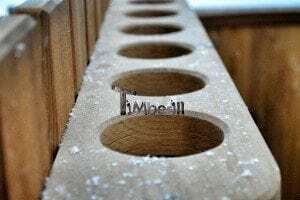 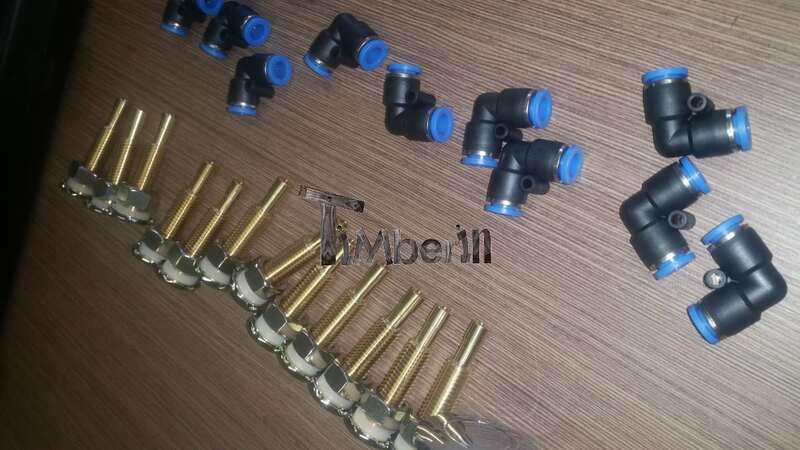 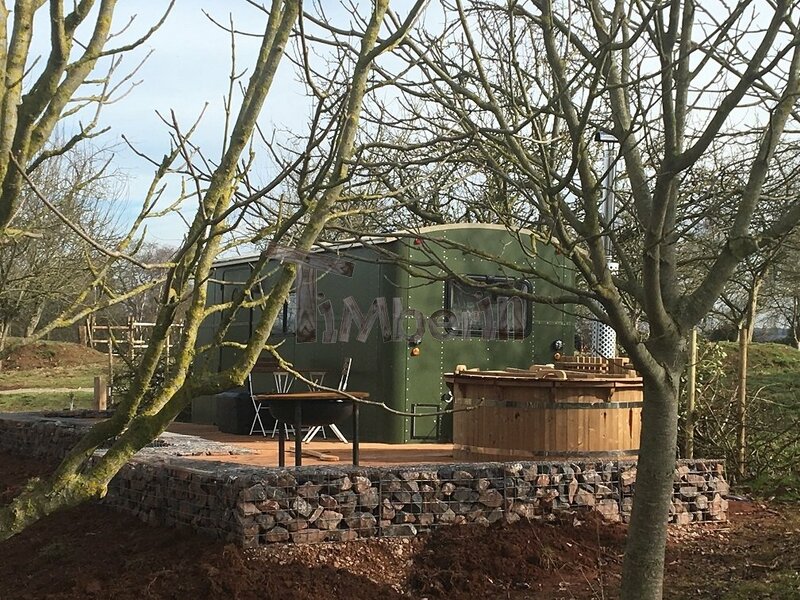 As a matter of fact, thermo wood has better insulation qualities, it suffers from less moisture deformation and is more stable, perfect for use in outdoor conditions. 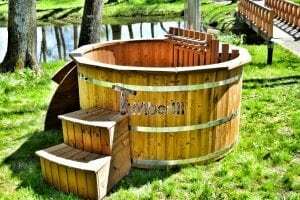 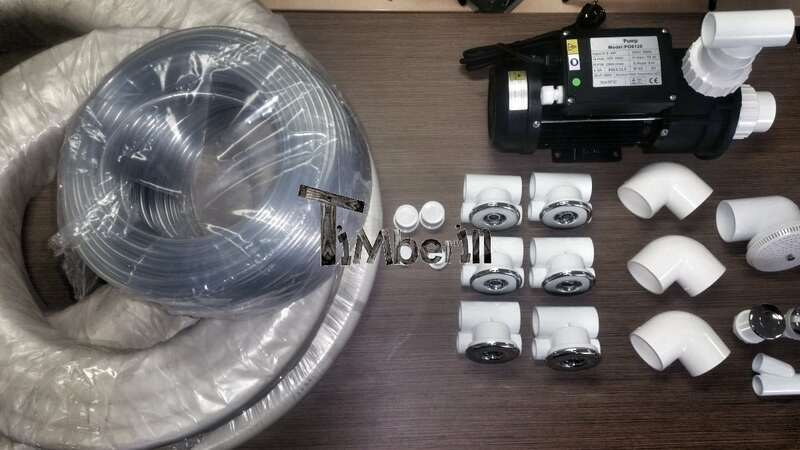 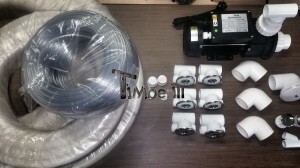 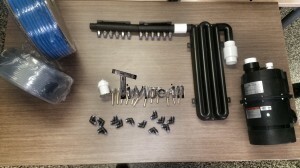 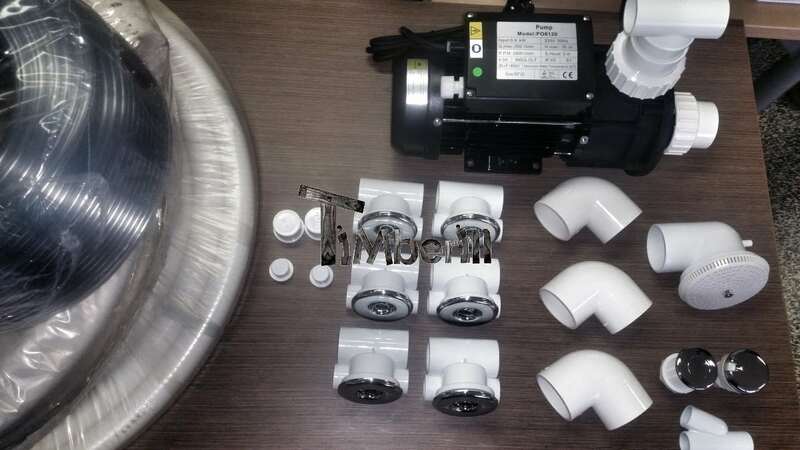 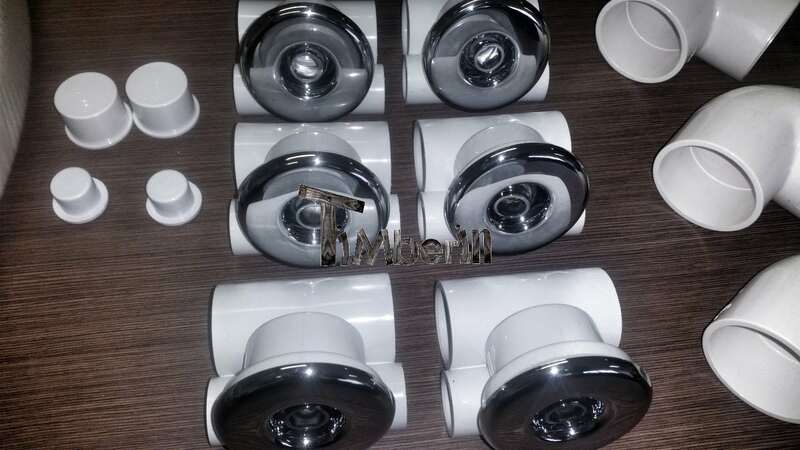 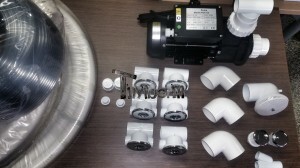 This tub will not only give a great time and relaxation but will deliver trouble-free service.